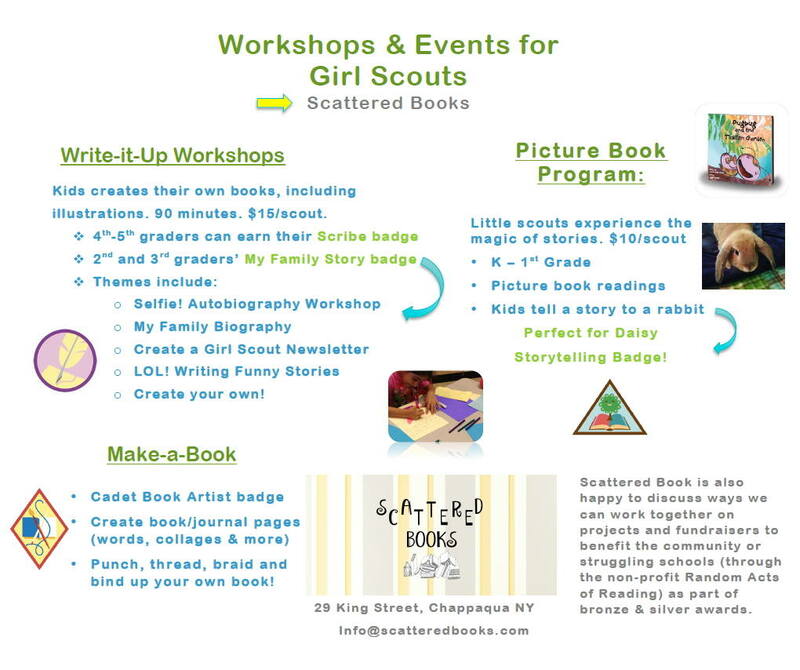 Scattered Books is proud to provide a comfortable and fun environment for Girl Scout Troops to come and enjoy come workshop activities while earning their badges. 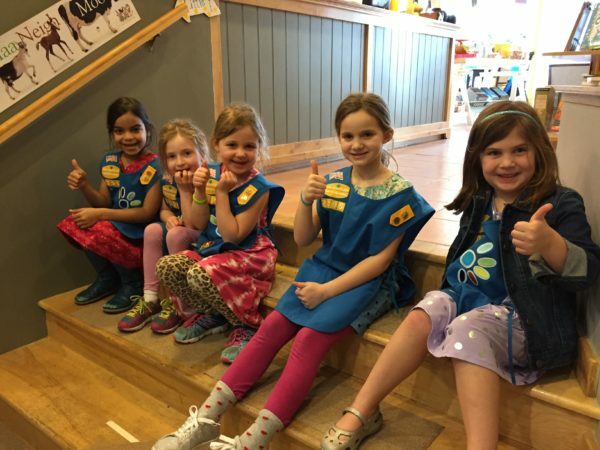 K-1st graders can earn their Storytelling Badge by coming to a special story time, brainstorming their own story and telling it to our very own store rabbit Acorn. 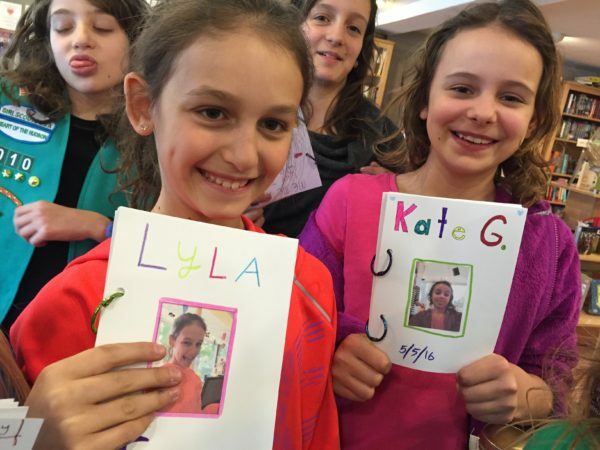 2nd-3rd graders can ear their Family Story Badge in a 60-minute selfie biography creation workshop. 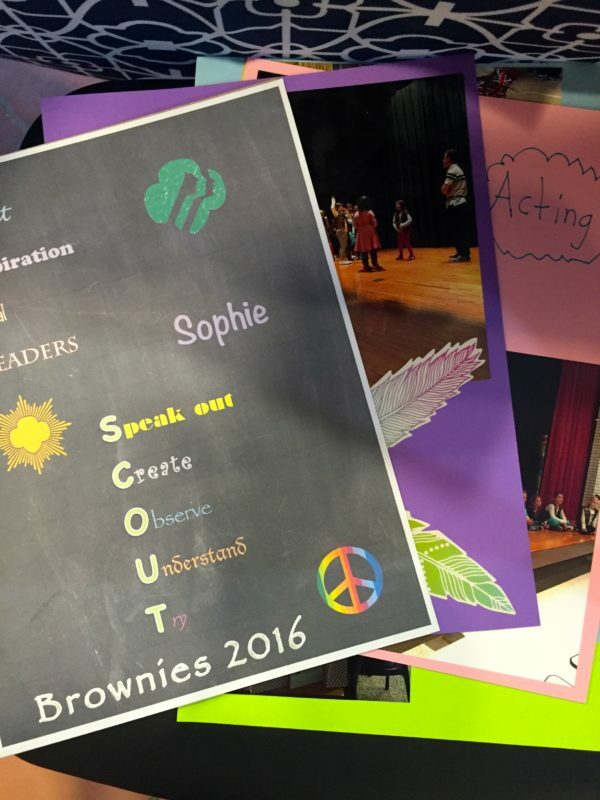 4th-5th graders can earn their Scribe Badge in a 90-minute customized session. 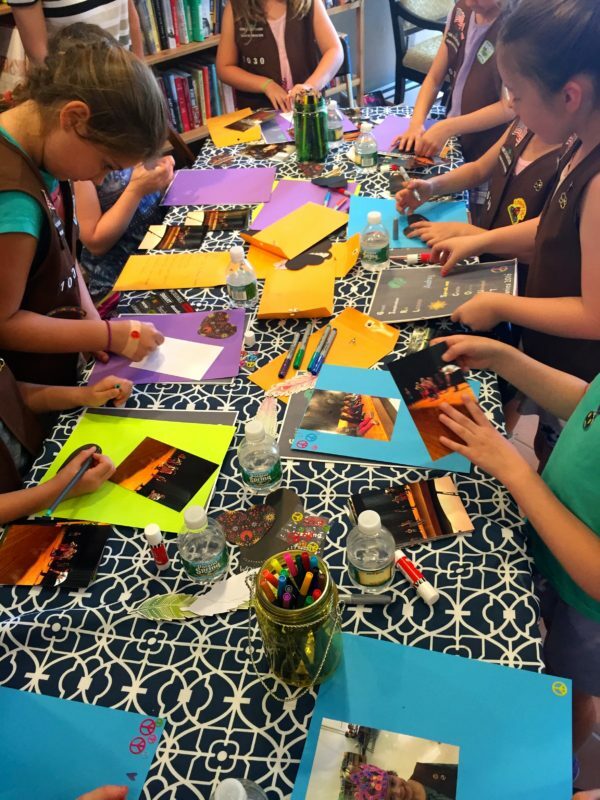 An end of the year scrapbooking party, as a fun way to preserve memories. It includes book binding. We are happy to host fundraisers and host community projects too! If you’d like more information, don’t hesitate to email or call us at [email protected] / (914) 529-8013.